Chicken allergies are common as they can cause harmful symptoms in some people. Being allergic to chicken, the body identifies it as a dangerous substance and causes various allergic reactions within the body. These mistakenly dangerous substances are then defended by antibodies created by the immune system. Overall, this process can cause various symptoms in the body as part of the allergic reaction taking place. Chicken is a low fat food which contains high protein value. It is a good addition in the diet plan but some people need to avoid it altogether as they get allergies from it. A chicken allergy can occur is people regardless of the age and therefore you may not know when you’ll get to eat no chicken. However, people who are likely to have food allergies may be prone to having such reactions every now and then. A doctor for allergies can help you know if you have a chicken allergy. Let him know the symptoms you are having if you suspect it is an allergy or rash from chicken. What are the Symptoms of Chicken Allergy? Allergic reactions are known to show immediate symptoms as the body does not take the substances in. Are There any Risk Factors of Chicken Allergy? Asthma or eczema patients are more likely to have food allergies as their body reacts to various substances. 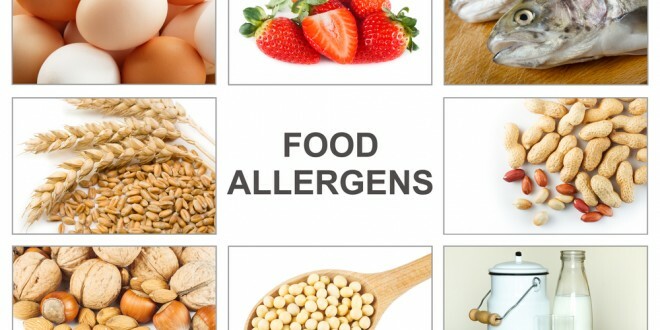 The common food allergies result from foods like turkey, goose, duck, fish, and shrimps. Chicken allergies mean you are more likely to be allergic from its eggs as well. This is a syndrome known as the bird-egg syndrome which also includes allergy to the chicken droppings and feathers. People having a chicken allergy may also suffer stomach discomfort as it tried to eliminate the allergens from the body. However, the whole body may also react adversely to chickens and that condition may need immediate medical attention. The condition is known as anaphylaxis which is serious enough to cause danger for health. The symptoms of anaphylaxis include rapid heartbeat, decreased blood pressure, heart palpitations, breathing problems, wheezing, swollen throat, swollen tongue, swollen lips, and unconsciousness. Doctors often prescribe a self inject able form of adrenaline which may save your life in case of an emergency. How to Manage Chicken Allergies? People having a chicken allergy should avoid eating chicken based meals. Even contact with raw meat should be avoided at all costs as chicken products may not suit you. It is better not to eat chicken eggs as they may also contain the allergens which will cause reactions. However, accidental exposure to chicken products may be treated with over the counter medicines. Such medicines will stop the adverse body’s reaction to allergic substance. It is easy to manage life without chicken as there are substitutes for you to enjoy. Food substitutes can make your life easy if you decide what to choose for your diet plan. Protein sources are plenty and you may always opt for the likeable one. Nature has plenty to offer and you should be able to try out some other options to keep yourself safe from allergens. You may easily avoid chicken if you add certain other foods on your diet list.